The Hall of Fame is for only the best of the best in the world. It is an exclusive achievement most players only dream of. For a player to make it there they must be a truly special talent and one of the best players in the world. Today we will be looking at five locks to make it into Cooperstown. 1.) Miguel Cabrera: Any player that hits for the triple crown will have a legit chance to make it into the hall of fame. This chances are increased when you are a career .316/.395/.551 hitter with 465 home runs. He has 2,676 career hits and he could reach 3,000 if he plays four more seasons. Cabrera has been a top 5 MVP vote getter in seven seasons and he has one the award twice. He is also an eleven time all star. Cabrera is a definite lock and should be a first ballot hall of fame player. 2.) Albert Pujols: Any player who hits 600 home tins in their career will be an instant first ballot selection for the Hall (unless accused of steroids). Pujols currently ranks 7th all time in home runs and he will likely move up to 6th this season. He is a career .302/.382/.554 hitter to go along with his 633 bombs. He is a ten time all star and has also finished top 5 for MVP ten times (winning it twice). There isn’t any other player who is more likely to make it to Cooperstown than Pujols. He also holds the all time record for grounding into double plays so that’s cool. 3.) Clayton Kershaw: The greatest pitcher of this generation, Kershaw will be another lock for the hall of fame. In his eleven seasons he has finished top 5 in Cy Young seven times and he has won the award three times. He even won an MVP award which is extremely rare for a pitcher. His elite career 2.39 ERA and 1.005 WHIP are just unheard of from starters after 5-10 years now. He has also played with the Dodgers his whole career so there will be bonus points if he sticks around there. Kershaw even won the pitching triple crown once and he still has time to potentially do it again. 4.) Mike Trout: If Trout had the minimum ten seasons for the hall of fame, then he would be right with Pujols and Cabrera. Trout is only five WAR away from Cabrera despite only playing in half the amount of seasons. He holds a career .307/.416/.573 line with 240 home runs and 1187 hits. (All in eight seasons). Trout becomes a free agent after the 2020 season and he should see the biggest payday in MLB history. He has won the MVP award twice, former rookie of the year, six time silver slugger and seven time all star. He’s such an unbelievable player and I can’t wait to see how he only gets better. 5.) Joey Votto: Picking the fifth lock for the Hall was very difficult and it came down to either Votto, Cano or Verlander. Ultimately it came down to Votto because he’s been with the Reds his whole career and the MVP has been one of the best on base players in MLB history. His career line of .311/.427/.530 is one of the best you’ll find in the MLB and he has been top five for MVP three times, winning it once. I would love to see Votto in the Hall and I strongly believe he will make it there easily. Those five players, Cabrera, Pujols, Kershaw, Trout and Votto are the five players I believe are easy locks to make it into the hall of fame. All of them can instantly turn a team into a playoff team when in their prime. I will be doing separate articles on potential hall of famers so follow my page to see those soon. Thank you for reading my Hall of Fame. Go check out my new website design! I would love to do more interactive articles with fans, so go visit my Twitter. (@EverydayTwins). If you enjoyed please leave a like and share with your friends. 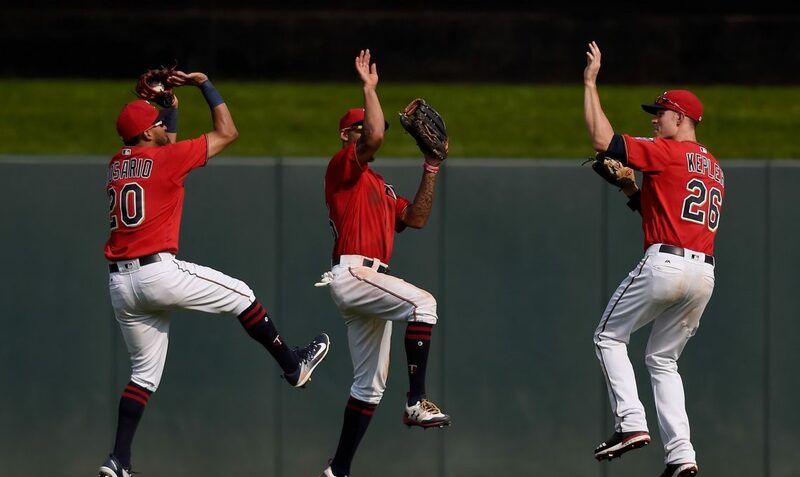 What if every Twins player repeated their best season in 2019?